Olivia May Willing was a young nurse who gave her life caring for her patients. In 1941 during one of the fiercest bombing raids on Plymouth by the Luftwaffe, trainee nurse Olivia May Willing was killed, along with colleagues and her young patients, on the children's ward of the City Hospital. Francis Moreton Willing (1888-1970) was the son of the Rector of North Hill, Launceston, though his family had been farmers around the village of Loddiswell in the South Hams for generations. Keen to try farming himself Moreton had visited the USA to look for openings there, prompted by American connections of his mother, but had no success. On his return to England, in response to an advert, he worked with his old school friend, my grandfather, Nick Pitts, at Higher Town Farm, Lapford where he met Nick's sister-in-law, Nellie Wright and the pair were soon engaged. Still determined to find his own place Moreton went to Canada in 1912, and found his farm on the outskirts of Edmonton, Alberta. There he was joined by his fiancée in 1916, and they were married in Edmonton on 20th May of that year. 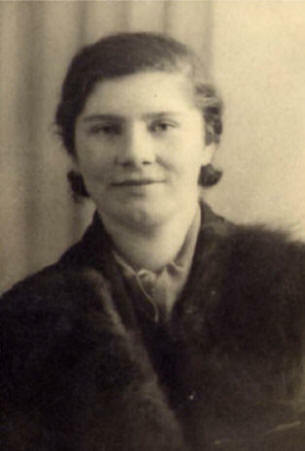 Their first daughter Agnes arrived a year later, then on 29th May 1921 Olivia May was born - named after an Aunt Oliva, though the family called her May. 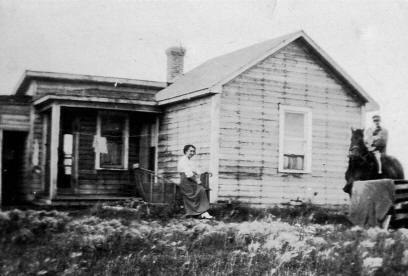 In 1923, only son Theo was born and the family settled into their lifestyle on the Canadian plains. 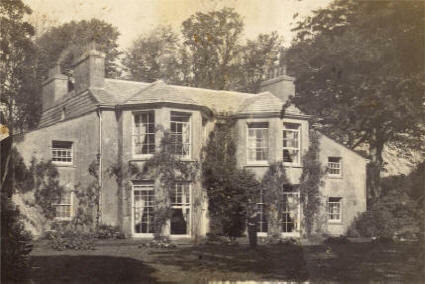 The daughters went to Llanarthney School for Girls in Edmonton. If not academically gifted, May was a cheerful girl, and natural mimic and actor. Times grew tough in agriculture and the family had to give up the farm. 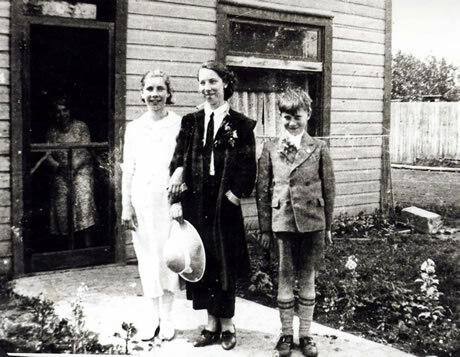 They moved to Edmonton briefly, but the depression forced them to return to England, and two years away, the war. When May and the family returned to England in 1937 they at first went to stay with her uncle Theo at the Rectory at North Hill. After their small house on the Canadian prairie this seemed big and dark and gloomy. The family moved to Churchstow, neighbouring parish to Loddiswell, and settled into the community, becoming active members of the church there. May had finished with school, and must have wondered what to do with her life. 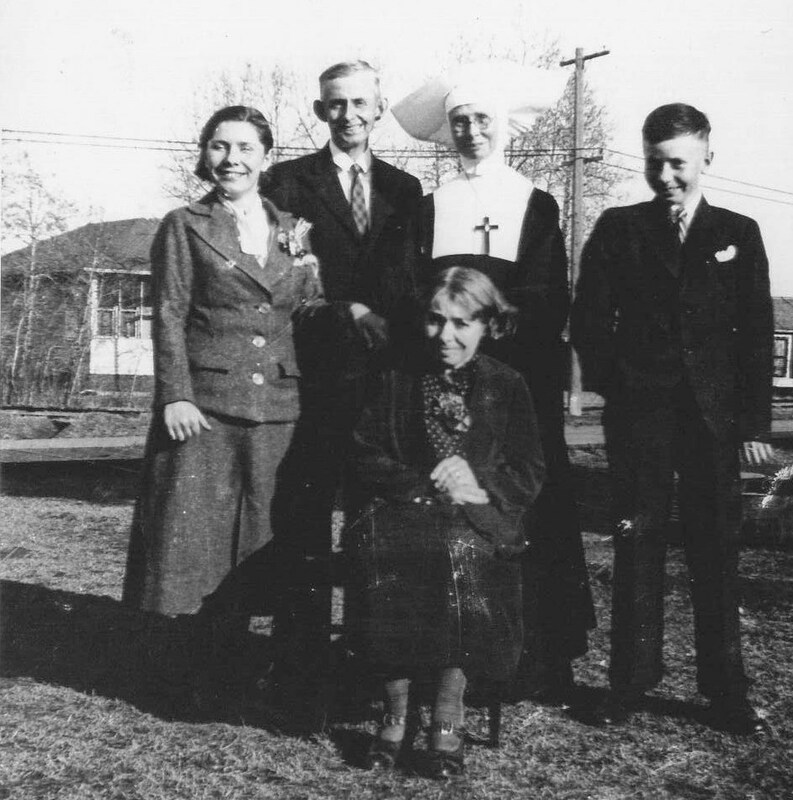 Her sister Agnes was progressing well with nurse training, so after her seventeenth birthday May decided to follow in her sister's footsteps. She initially followed her to the Prince of Wales hospital, Plymouth, known as Greenbank, but unfortunately as she did not have the educational qualifications of her sister, she soon followed a different path and transferred to the nearby City Hospital. It was very close to Greenbank, and her sister. It was there she was working during the night of 20 March 1941. The King and Queen visited Plymouth earlier on 20 March 1941. During their visit there were rumours at RAF St. Eval that the city was going to "catch a packet" that night. In fact the Home Office Intelligence Unit sent a warning to Plymouth Control centre. The attack was to have been led by pathfinder force Gruppe Kampfgeschwader 100 based in North West France, of the Luftwaffe's Luftflotte 3. In fact at 8.39 in the evening it was the Heinkel 111s of Kampfgeschwader 27 that first dropped their high explosive bombs, followed two minutes later by thousands of incendiaries and flares to mark the target dropped by the delayed pathfinder squadron. When they turned away they were followed in almost a four hour procession by Heinkels and JU 88s. The heavy bombers dropped 1150 high explosive bombs, from 50kgs to 1000kgs, and over 30,000 incendiary bombs. The air cover provided for Plymouth that night was four Gloster Gladiator biplanes. 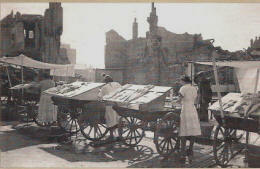 When the raid started 19 year-old student nurse May was on duty in the children's ward, part of a new maternity block. The children were terrified by the bombing. May and her colleagues did their best to comfort them, staying with their little patients despite the horrifying sounds of fire, explosions and droning of wave upon wave of aero-engines. It didn't seem to occur to any of the dedicated staff on duty that night and subsequent nights that they should do anything but stay at their posts. Some of May's colleagues seemed hardly older than their young patients. The youngest, Lydia Walters, was just 16. 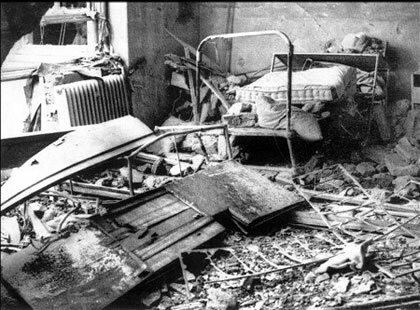 The ward suffered a direct hit by a high explosive bomb. May, five colleagues and twenty-three children were killed instantly. Only three children survived, trapped under rubble, but protected. May's sister Agnes was on duty at the nearby Greenbank hospital, where the scenes in the casualty department were described as carnage. When she learned of the tragic death of her sister she was told that the injuries had been so severe that individual identification of the victims was not possible. The nurses who were killed with May that night were Staff Midwife Ruth Williams, nee Rothwell, Assistant Nurse Emily Kelly, Nursery Nurse Lydia Walters (16), Nursery Nurse Monica White (17) and Student Nurse Winifred McGuirk. Winifred was found clutching a baby in her arms in the stairway of the unit, where she had been trying to take the child to safety. 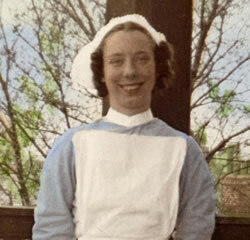 She had been off duty in the hospital's nurses home but had gone onto the ward to help. 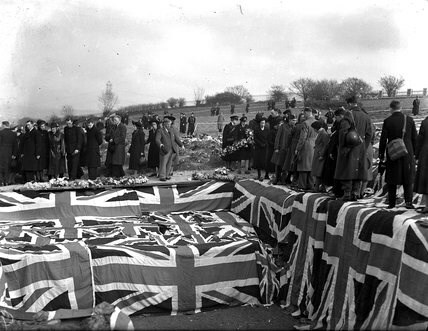 The nurses were buried at Efford Cemetery, alongside the twenty-three children who were killed with them. Plymouth took pride in remembering the courage of the nurses. 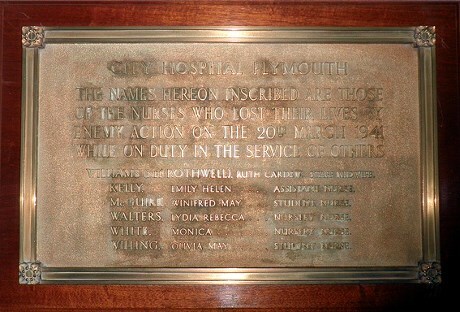 A bronze plaque dedicated to their memory was erected in the nurses home of the City Hospital, and when that was demolished, the plaque was erected in the Chapel of the new Derriford Hospital. New homes were built on the site of the old hospital, and roads on the estate were named in honour of the brave nurses who died there. Olivia Court was named in 2002. And the village that was home to generations of the Willing family, Loddiswell, remembered her on its war memorial, though she had never really lived there. 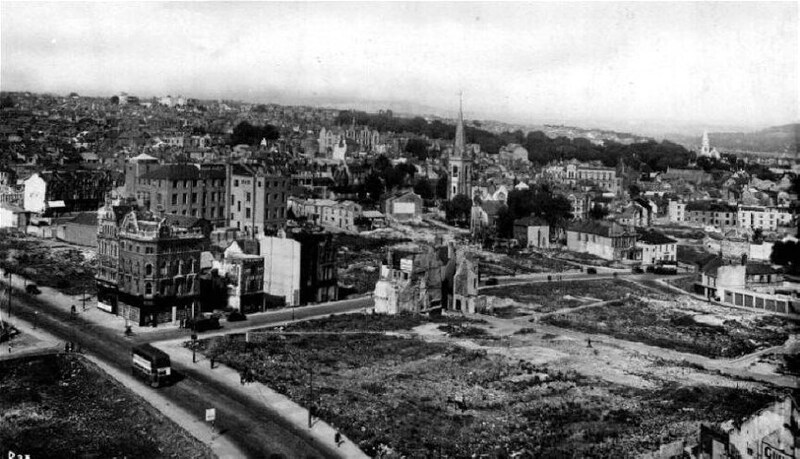 Twenty:twenty hindsight is a marvellous thing, and it is easy to say now that the poor defences and ill-preparedness of Plymouth for aerial bombardment contributed to the devastation that the city suffered. Nonetheless, despite its being an important naval dockyard and base and the largest urban centre in the South West, its air-raid preparations were lamentable. The anti-aircraft defences were inadequate, and air cover was provided by the RAF at St Eval, in North Cornwall, with a squadron of obsolete Gloster Gladiators. Civil defence arrangements were similarly inappropriate for a city of a quarter of a million souls living alongside the country's most important Naval port. 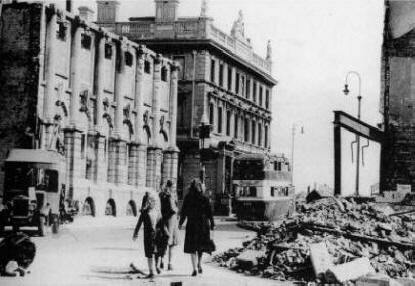 The first bombs fell on the city on 6th July 1940.Three people were killed. The fall of France meant that the city was now within easy reach of the Luftwaffe bomber squadrons. During the following months daytime raids continued, increasing in scale. The earlier raids mainly dropped high explosives, but by November 1940 the use of incendiaries was becoming more frequent, and thousands of fire-bombs were dropped during the November raids. The death toll began to rise. People began to leave the city. When 1940 drew to a close with the dropping of the first 500 lb. bomb, there had been 27 raids and over 100 people had been killed. Plymouth was struggling to cope, with inadequate water supplies to fight the fires and poor coordination between the various fire-fighting organisations with incompatible equipment. There were difficulties in feeding the victims, and evacuation centres were in the target areas, so understandably the homeless were reluctant to use them. But the raids of 1940 were only the prelude to what 1941 was to bring. Early in the year there were only 6 raids, though some 50 people lost their lives in these. Then on the night of 20th March 1941, wave after wave of bombers rained down fire and explosion on Plymouth. Worse was to follow on the following night with further heavy raids. In two nights 338 people were killed and thousands of properties were destroyed. There was a brief respite at the beginning of April, until between the 21st and 30th April there were five nights of destruction in Plymouth and Devonport, as tons of high explosives and thousands of incendiaries were dropped on the city, the combined duration of the attacks being 23 hours and 16 minutes of bombing. 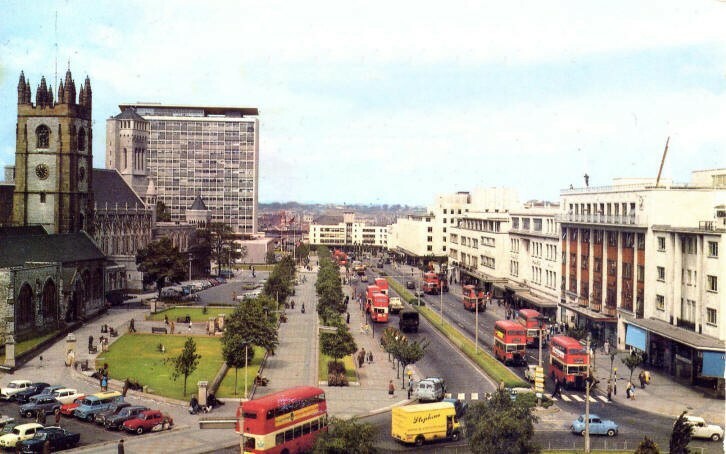 590 people were killed in these five nights and the devastation of the city centre was completed. Thankfully this horrendous crescendo of destruction was almost the end. There were a further 17 raids on the city between 30th April 1941 and the end of the war, but none of them with the ferocity of those March/April raids which had given Plymouth the name of "worst blitzed city". 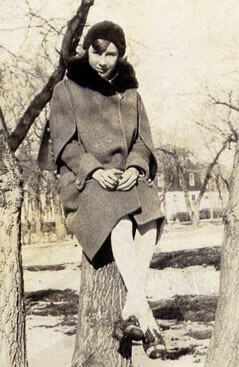 May's Aunt, Agnes Oliva Willing (1890 - 1981) suffered too during the war. 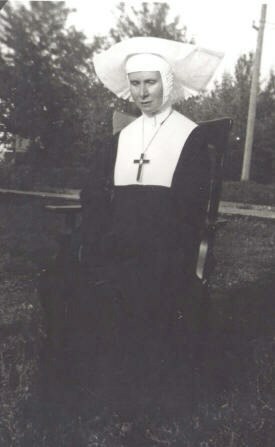 She joined the holy order of the Sisters of St Mary, based in America at Peekskill, New York, and worked as a missionary in Liberia for three years. She spent 5 years in Alaska was then posted to the Philippines. When the Japanese overran the islands she was interned, surviving the war in a Japanese internment camp. She served in the Philippines for 15 years before returning to New York where she was in the House of the Redeemer. She visited the family in Canada and in England. This map shows the scale of the bombing, with the site of the HE bombs indicated by black dots. The red square marks the location of the hospitals. After the March raids thousands would trek out into the country each night, sleeping in village halls, in homes of villagers, in tents and in hedges, and then return to the city the next day to work. 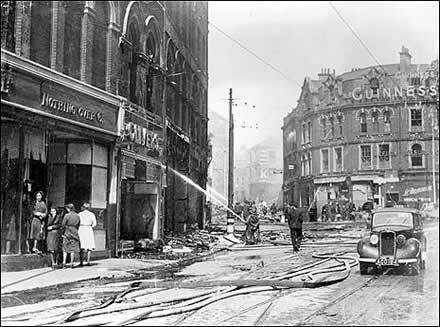 Plymouth earned the title of worst blitzed city for the intensity and scale of attacks on its relatively small population. 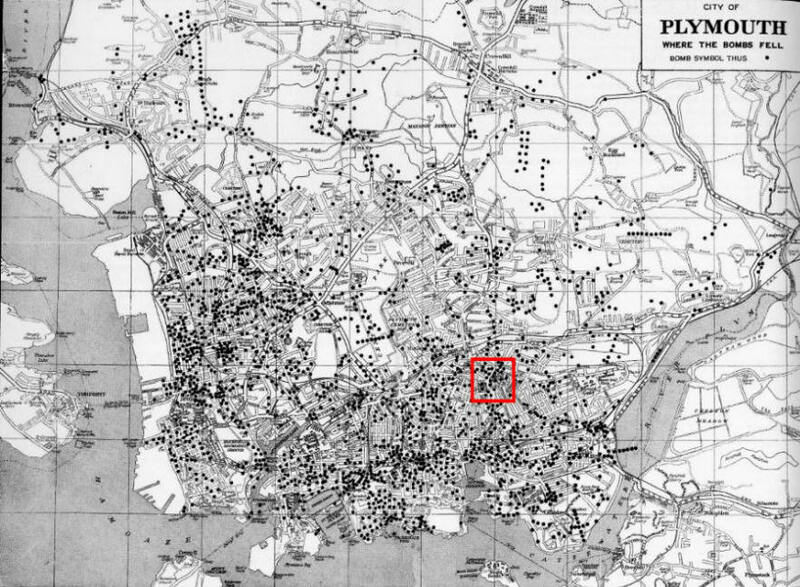 Plymouth had 602 alerts, and bombs were dropped on 59 raids. Approximately 200,000 incendiary bombs and 6500 high explosive bombs were dropped in the major raids in 1941. Because of shortages of water, manpower and equipment, fires were allowed to burn. As a result of enemy air attacks between 1940 and 1945 there were 1174 dead, 1092 seriously injured, 2117 slightly injured and 5 missing, believed killed. There were 4994 buildings destroyed, and 70,993 buildings damaged. 49 churches were destroyed and 63 damaged. 18 schools were destroyed and 63 damaged. 14 hospitals were damaged, though none totally destroyed. 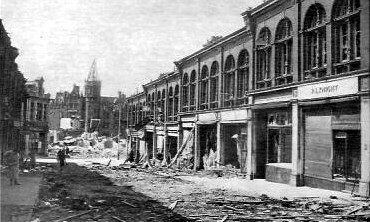 930 shops were destroyed or damaged. 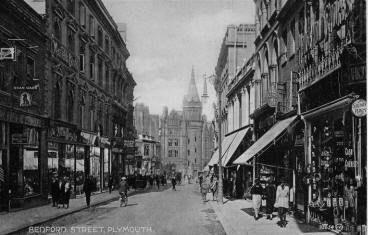 Plymouth was rebuilt out of the devastation for the 60s (below) and its centre was rebuilt again in the noughties.